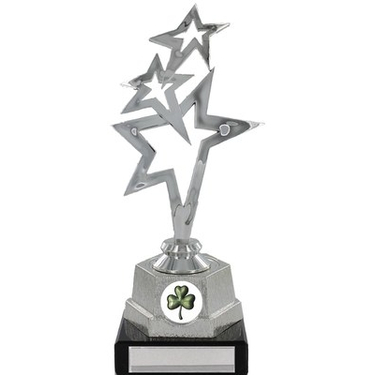 Excellent star design trophy mounted on black marble like base. 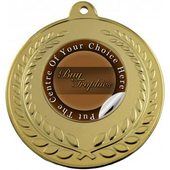 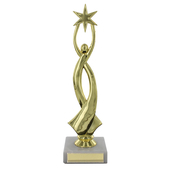 Customise this trophy with a centre sticker and an engraving plate. 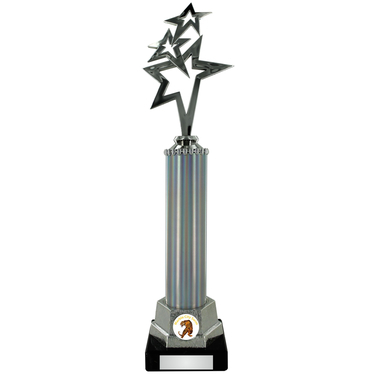 The increase in height of this trophy will be added with a polished silver design tube. 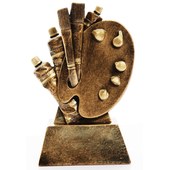 Please note images on larger sizes are for illustration. 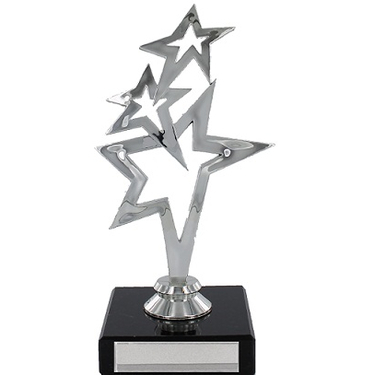 They do not depict exact height.